The mission of PhotoVoice is to build civic engagement skills among elementary school-aged children. 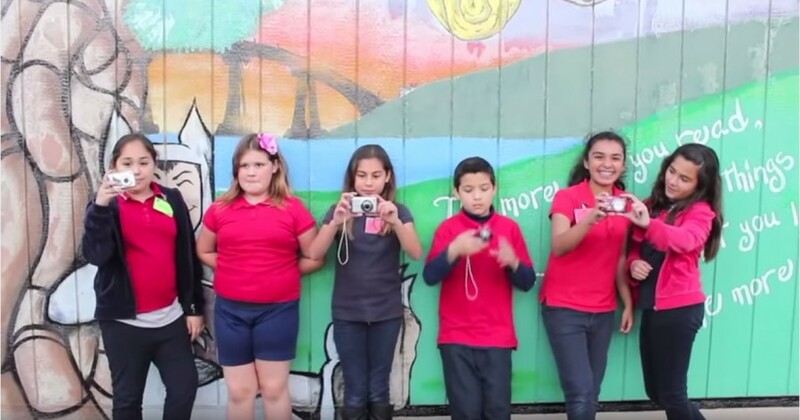 The most recent PhotoVoice project took place at Feaster Charter School in Chula Vista, led by the UC San Diego Center for Community Health’s School Wellness Team. Through 11 innovative participatory photography lessons using digital storytelling methods, students were enabled to represent themselves and create tools for advocacy and communication. 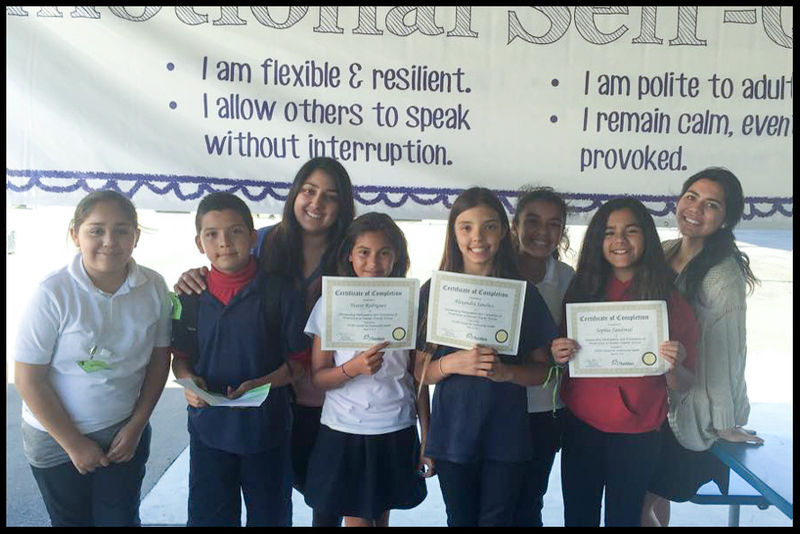 A total of 10 exceptional 5th-grade students from the YMCA-led STRETCH (Safe Time for REcreation and Tutoring of CHildren) after-school program were chosen to participate. Through the use of photography, students were able to identify opportunities and barriers for healthy food, and play in their school environment. The 11 lessons were followed by a final photo exhibition, oral presentations, and a video. Some of the great ideas students were advocating for through their photographs were more gardens to grow fruit and vegetables that would be accessible to afterschool programs. Other requests were to paint over graffiti on the playground, as well as re-paint hopscotch and other fading games that are drawn on the playground blacktop. There is a large area of unutilized space on the playground, so students requested play equipment to use in that area for physical activity. Students presented in front of parents, community partners, Feaster staff, and their peers. Brendan Reed, City of Chula Vista Environmental Resources Manager, was in attendance and encouraged students to get support from local businesses to make these changes a reality. The goal of the final presentation was for students to communicate what they captured in images and begin dialogue to implement the changes they hope to see in their school environment. We would also like to recognize and thank our interns Roxana Rezai and Stephanie Rivera, as they did a phenomenal job lending their expertise in media and communications for the photo exhibition and video. The Center for Community Health has been fortunate to have such talented and driven young women as part of the School Wellness Program intern team.